The Visa credit card has a long and interesting history with a slew of different tiers that have come and gone. As of today, only two tiers remain: Visa Platinum, and Visa Signature. Sometime in the past, Visa Platinum was the premium Visa credit card, and before that, Visa Gold was the premium Visa card. Now the torch has been passed down to Visa Signature. You know your credit card is a Visa Signature if the bottom right corner says “Visa Signature”. 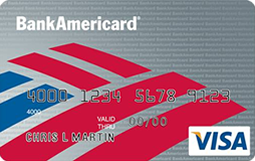 Visa is one of the four major payment processing networks: Visa, Mastercard, Discover, and American Express. 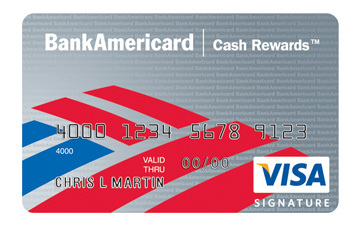 While the rewards of a credit card are determined by the issuing bank (Chase, Bank of America, etc. ), the benefits are mostly determined and administered by the payment processing companies. 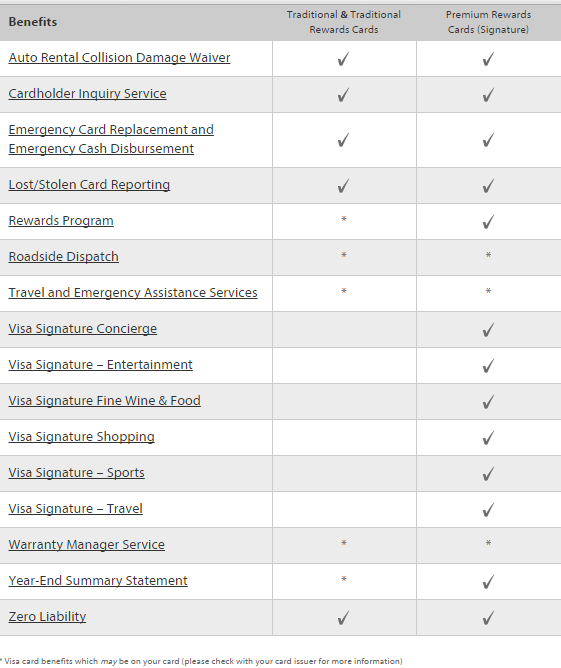 In the case of Visa credit card, the benefits are determined by Visa, and understandably, there is quite a difference here between Visa Platinum and Visa Signature cards. I have previously written a 10-article series on the benefits of using your credit card. Visa Signature credit cards offer some pretty attractive benefits on top of these. Flexible spending limit. Your credit card typically comes with a pre-set spending limit that you cannot exceed. Visa Signature cards allow you to spend above the designated limit for a short period of time so that your buying power will not be restricted in case of a large purchase. If you buy $6,000 worth of furniture for your new home for example, a $5,000 Visa Signature credit card will allow the transaction to go through while a $5,000 Visa Platinum credit card probably will not. Typically, you are automatically approved to spend up to twice the designated limit on a Visa Signature; any amount above this will have to be communicated to the issuing bank first. I personally have taken advantage of these benefits a few times. I used Visa Concierge to book a shark adventure tour in Hawaii with my friends in 2013. 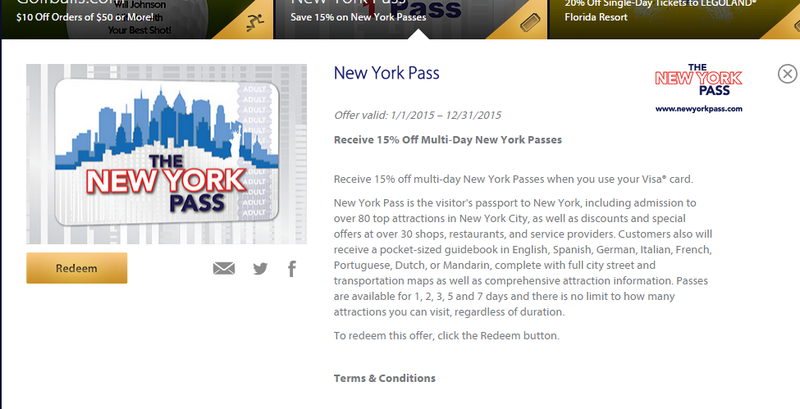 I have used Visa Signature-Travel discounts for my Super Shuttle trips from the airport to my apartment many times. My friends and I have also used the buy 1 get 1 free promotions for Fandango Friday movie tickets. There are many, many more benefits which I have not had a chance to take advantage of, but you should. 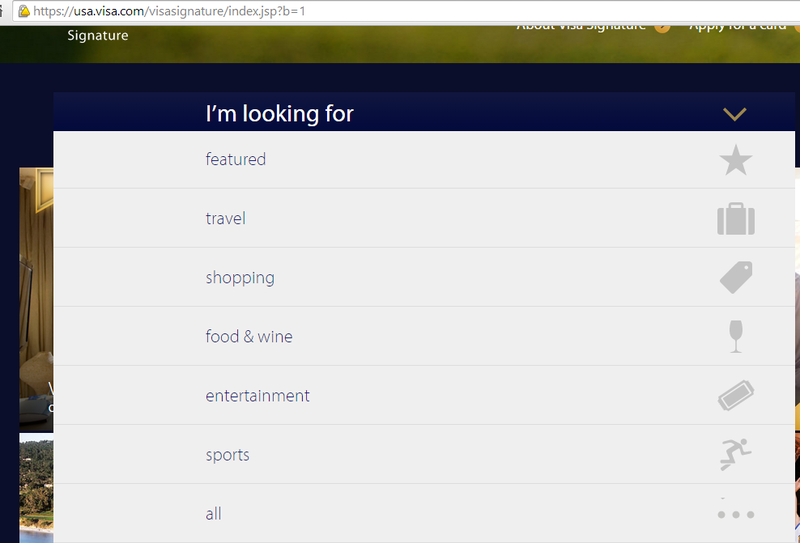 Visit this page: https://usa.visa.com/visasignature/index.jsp?b=1 . The website is awkwardly designed, but if you look past that, you’ll find some amazing deals. Basically, a Visa Signature credit card is just a Visa credit card that offers more benefits than a regular Visa Platinum. It’s great to have one in your pocket.